In an increasingly competitive marketplace, customers demand rapid response to their orders. Your ability to process these orders in a timely and effectual manner is essential to winning and retaining your customers’ business. 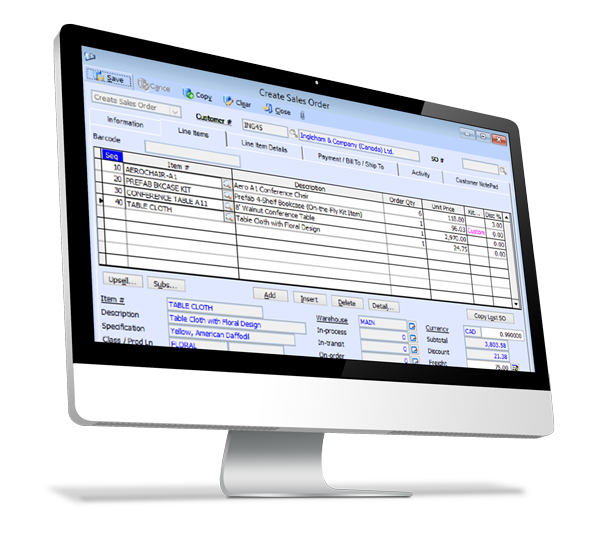 The AccountMate Sales Order module delivers the power of a complete order entry, customer and inventory management system so that you can always provide your customers with prompt and accurate service. When integrated with AccountMate’s Accounts Receivable module, you get a complete billing-and-receivable system that will further enhance your ability to manage your customer base and inventory.